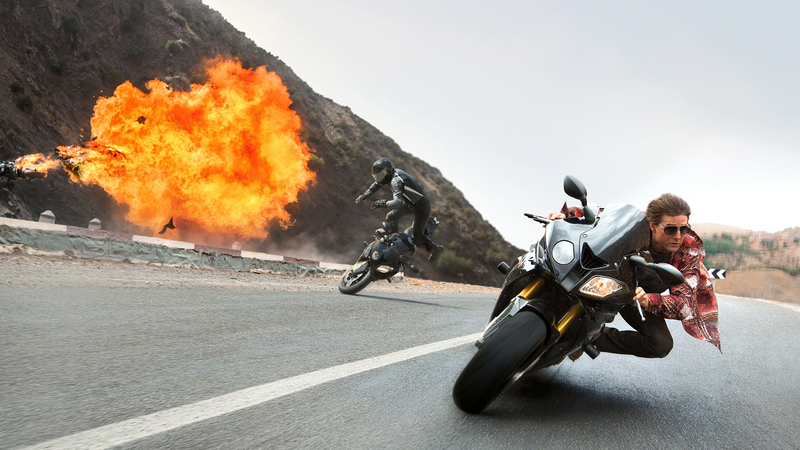 Director Christopher McQuarrie sure knows how to take the audience for an exhilarating ride. His latest movie Mission: Impossible – Rogue Nation leaves the viewers in a state of awe with suspenseful moments, unexpected twists, and comical dialogues. With a cast consisting of returning actors like Tom Cruise (Ethan Hunt), Simon Pegg (Benji Dunn), and Jeremy Renner (William Brandt), who wouldn’t want to see the fifth chapter of this well-acclaimed series? The Mission: Impossible movies revolve around Hunt leading a team to execute seemingly “impossible” missions. With new lead actress Rebecca Ferguson (Ilsa Faust), this movie was destined to become a success. If you’re looking to see a movie full of action and thrills, then this would be a highly recommended movie for you. The movie starts off with a plane taking off, with Ethan barely hanging on to the side of it with his hands. How is that possible? I don’t know, but based on the previous Mission: Impossible movies, Ethan can do anything. Take the water tank scene for instance. Benji, Ilsa, and Ethan had to infiltrate the enemy lair to get some data. The only way to get safely inside the place was for someone to dive into a massive water tank and put a chip into the designated place, allowing Benji to get in undetected. Obviously, the only person capable of holding their breath for that long (three minutes) is Tom Cruise. McQuarrie’s careful coordination of the stunt makes the audience wonder whether or not Hunt will make it out alive after inserting the chip. Surrounded by fast-moving water while rapidly losing oxygen, our hero seemed unlikely to make it out alive. And he didn’t. He reached the escape hatch, but passed out before he could open it. Seemingly, our hero was dead. Obviously, it would be too cliché to kill Ethan off that early, so Ilsa Faust dives into the tank and saves him. This water tank scene was similar to the Burj Khalifa scene from Mission: Impossible – Ghost Protocol, with the suspense and life-or-death situation. The camera angles were perfect, showing Hunt struggling for breath as air bubbles floated up and popped. A movie series that started 19 years ago is still going strong because of director Christopher McQuarrie’s brilliant movie handling skills and the masterful actors. Tom Cruise and Rebecca Ferguson took on amazing, memorable stunts, followed by Simon Pegg’s and Jeremy Renner’s exquisite comical lines. If you really want to experience a spy movie with all the action and suspense, but with a hint of laughter, then this movie is for you. I watched Mission: Impossible – Rogue Nation and loved it. This movie deserves five out of five stars. You should definitely buy the DVD when it comes out or go to the theater now. I guarantee that this movie will surely impress you.